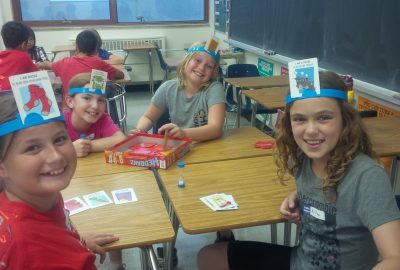 Our Learn French programs are FUN, ENGAGING, and EFFECTIVE! Has no French experience at all! 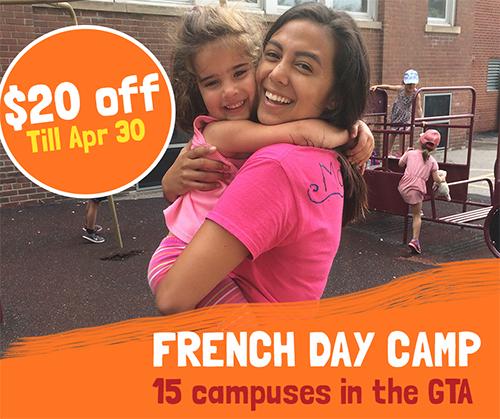 Then this is the perfect stream of Summer French Day Camps for them! Your child is currently in SK or grade 1? Join our Boute-en-train program! Your child is currently in grades 2 to 4? Here we come “Practical French Essentials”! 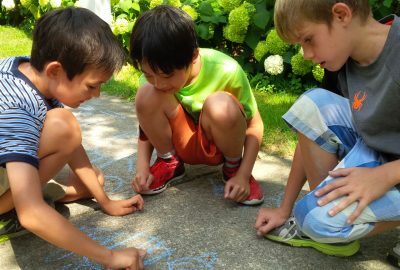 Our unique brand of camp will enrich, reinforce and expand your child’s French verbal skills, instilling confidence, spontaneity and a love of learning French. Get them excited about being bilingual! In 2019, our camp season run from July 8th until august 31rd, varies by campus. 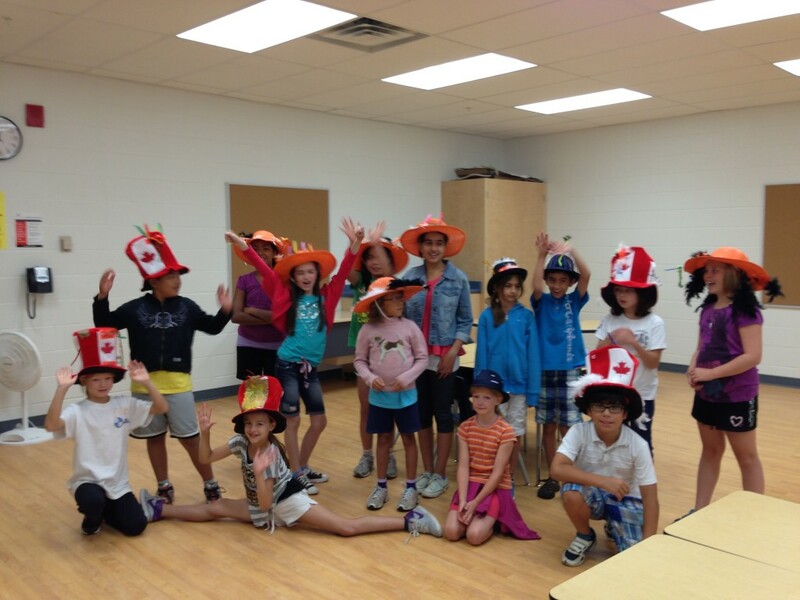 These programs are specifically developed to prepare children to enter a French program in the fall or to improve already acquired French skills. New vocabulary is introduced during morning circle time, then reinforced all day long during various activities! Each week we cover a different theme and build on specific vocabulary, sentences and songs all related to that theme, so kids can participate for multiple weeks and take their language learning to the next level. Thursdays are extra special! Campers pile into buses for the weekly outing to a splash pad! Travel time is the best time to learn new French tongue-twisters, riddles and call-and-response songs! And Fridays feature a camp-wide festival: fun and face painting and freezees for everyone!! The ratio in this program is 8 campers to 1 counsellor. No French experience required! Get an excellent overview of the Boute-En-Train program with our video. 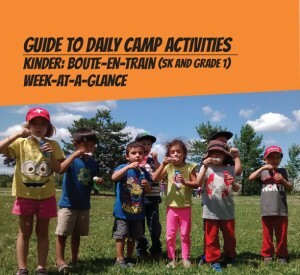 Review our detailed Week-At-A-Glance for a sample week schedule, descriptions of each module, and links to short clips to see our French Day Camp in Live! Designed for children following Core French or Extended French academic programs during the school year, we focus on the acquisition of keywords and phrases through both direct and experiential instruction. Children will strengthen their communicative competencies by participating in a variety of activities all designed to make learning fun! 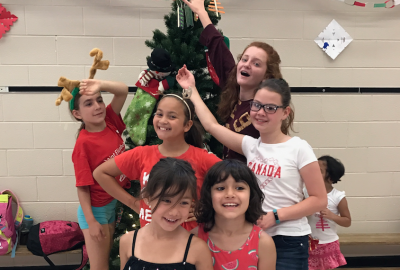 While engaging with and learning about their peers, creating dramatic skits and participating in good old-fashioned sports all in French, children will gain confidence in their verbal skills. Mentored by our supportive counsellors, kids will gain a love of “la langue de Molière.” Each week of programming follows a different theme, with one week building one the next, so kids can participate for multiple weeks and take their language learning to the next level. The Practical French Essentials is a dynamic program led by our team of super counsellors. Campers will start the day with theme-based language modules covering everything from getting to know you to sports, music, and clothes. Kids will practice newly acquired language skills throughout the day with a variety of engaging activities detailed in our Week-At-A-Glance. Thursdays are extra special! Campers pile into buses for the weekly outing to a splash pad! Travel time is the best time to learn new French tongue-twisters, riddles and call-and-response songs! 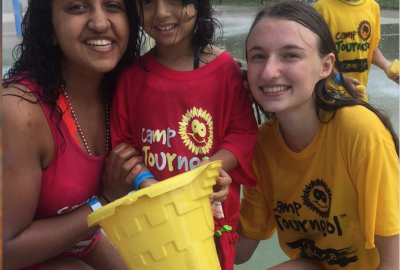 Fridays feature a camp-wide festival: fun! The ratio in this program is 8 campers to 1 counsellor. No French experience required. 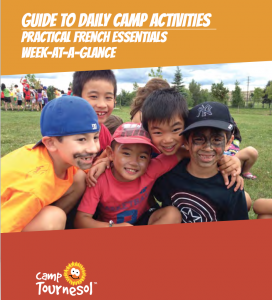 Review our detailed Week-At-A-Glance for a sample schedule, descriptions of each module, and links to short clips to see our French Day Camp in Live!